Charter Bus Guided Group Tour ...relaxation is just part of the experience. 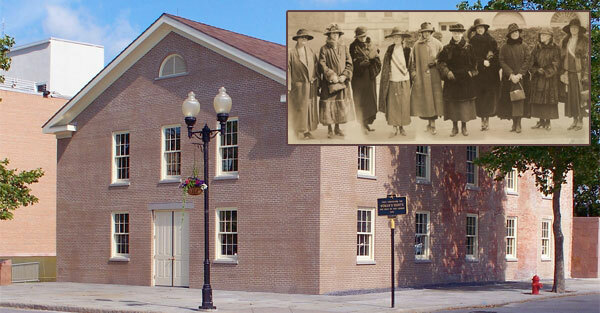 Women's Rights National Historical Park consists of four major historical properties including the Wesleyan Chapel, site of the First Women's Rights Convention. There will be myriad activities as New York celebrates the centennial commemoration of the women's right to vote in 1917, three years before the United States passed such legislation. Book now and experience the excitement of these historic locations. Geneva is home base for three nights while exploring attractions connected to the women's movement. There is the Matilda Joslyn Gage Center in Fayetteville, the Harriet Tubman House and William�Seward House Museum�Auburn, National Women's Hall of Fame, Elizabeth Cady Stanton's home and Women's Rights National Historical Park�in Seneca Falls where the women's rights movement actually began in 1848. There will also be stops at Sonnenberg Gardens and Mansion in Canandaigua and Native American Ganondagan, State Historic Site in Victor as well as the Susan B. Anthony House in Rochester. all sightseeing attractions listed above, tour guide, accommodations for three nights. We represent the best tour hotels in the region providing excellent group rates and first class customer service. Rates include all taxes but does not include gratuities. Details & rates are subject to change.